RECIPE FOR A NEW YEAR - Happy New Year from Sloan Shuffler CPA in Palestine TX! Thanks, Mrs. Greene for your Recipe for a New Year! I remodeled an old house during the last year, and in so doing, uncovered all kinds of things from the former occupant. I understand this interesting lady rented the house 40 or 50 years. She died in December at the age of 98. I see she attended The University of Texas – always a positive! But I digress…. "Take 365 years, trim off all old memories of hate and discard and wash thoroughly in plenty of love and courage. Cut these into twenty-five parts each. Cook only one day at a time. Be sure the fire is hot with enthusiasm for this wonderful business of living and be sure the kettle is bright with hope. Season each kettleful with kindness for somebody else, with patience for the small trials that come up, and a bit of extra endurance when needed. Add a little each of meditation, earnestness, and willingness. Serve with smiles, bits of praise, and plenty of heart-warming joy." 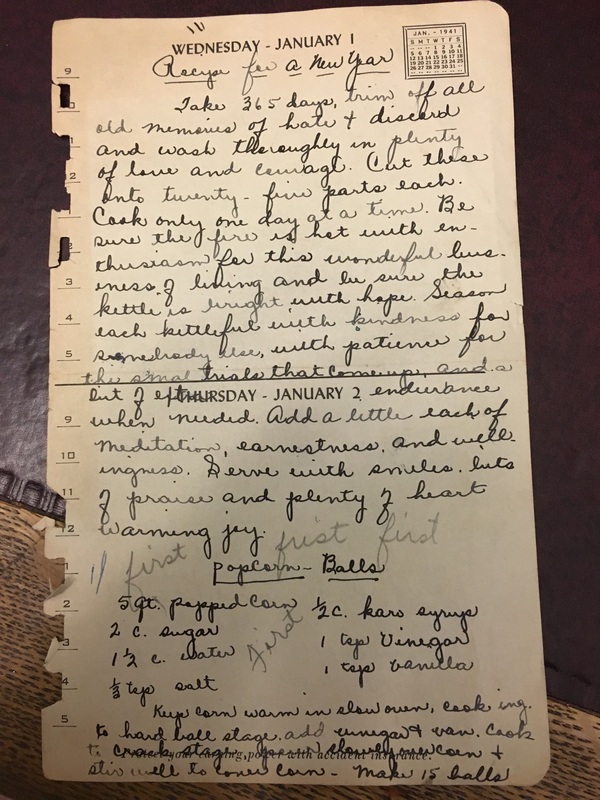 The next recipe was for popcorn balls…..
Sloan Shuffler loves a good recipe (especially when it doesnt involve any cleanup) and is a CPA in Palestine, Texas. You can reach her via phone at (903)-723-8894. Next Are you a business or are you a hobby? Previous What is the difference between a CPA and a tax preparer?